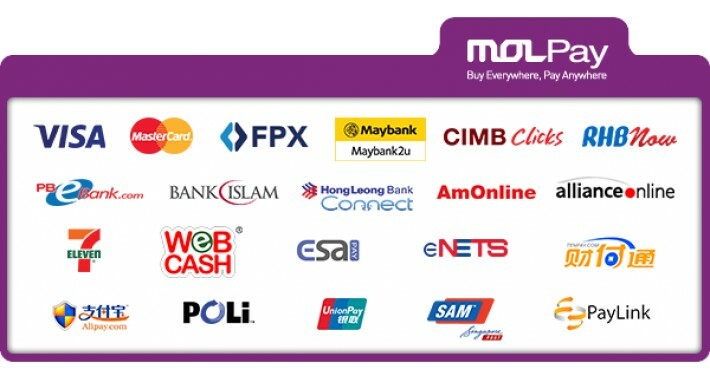 MOLPay is the leading payment gateway in Southeast Asia that connects international brands to consumers across region since 2005. We help our clients to establish foothold in Southeast Asian market through our full-range of alternative payment methods such as online banking, cash at 7-Eleven (MOLPay Cash), e-wallet, and more. Our single API serves as a connector for clients to reach all consumers across Southeast Asia. in 2011, we became part of the MOL Global Group, one of the largest internet companies in Southeast Asia. All of our services are complied with the highest global data security standard - Payment Card Industry: Data Security Standard ( PCI DSS) Service Provider Level 1, and also, the Malaysian Payment System Act 2003. We also achieved one of the lowest dispute transaction ration in the online payment industry.